The Difference Between Dogs (short story) - ATAP Endeavors Inc.
Hi, I’m Adeline and I’ve written a really interesting short story. I’ve titled it “The Difference Between Dogs in Haiti and Dogs in Canada”. The editing process is almost done and when it is I’ll post a summary and offer it for sale at a very good price. 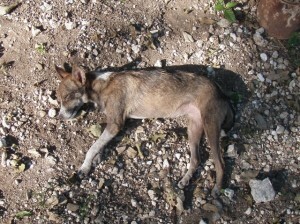 This is a picture of our dog in Haiti, we never checked and thought the dog was a boy. We named it Duke and when it had puppies we realized the dog was a girl. She has since died but her line continues. I hope you’ll get my book, it’s an inside look at cultural differences from a perspective you’ve perhaps never considered.